The Bishop of Fort Wayne-South Bend, Indiana, is to boycott the commencement address by Barack Obama at Notre Dame, the famous Catholic university in his diocese. Bishop John M D’Arcy says that, by inviting the fanatically pro-abortion President, Notre Dame has “chosen prestige over truth”. What a great man! He may be in his late 70s, but can we have him for Westminster, please? Here is Bishop D’Arcy’s statement. It is uncompromising and quite magnificent. I imagine it will make uncomfortable reading for Fr John Jenkins, the president of Notre Dame, who also has to deal with a petition of 80,000 Christians appalled by his choice. President Obama has recently reaffirmed, and has now placed in public policy, his long-stated unwillingness to hold human life as sacred. While claiming to separate politics from science, he has in fact separated science from ethics and has brought the American government, for the first time in history, into supporting direct destruction of innocent human life. This will be the 25th Notre Dame graduation during my time as bishop. After much prayer, I have decided not to attend the graduation. I wish no disrespect to our president, I pray for him and wish him well. I have always revered the Office of the Presidency. But a bishop must teach the Catholic faith “in season and out of season,” and he teaches not only by his words — but by his actions. My decision is not an attack on anyone, but is in defense of the truth about human life.I have in mind also the statement of the U.S. Catholic Bishops in 2004. “The Catholic community and Catholic institutions should not honor those who act in defiance of our fundamental moral principles. They should not be given awards, honors or platforms which would suggest support for their actions. Indeed, the measure of any Catholic institution is not only what it stands for, but also what it will not stand for. I have spoken with Professor Mary Ann Glendon, who is to receive the Laetare Medal. I have known her for many years and hold her in high esteem. We are both teachers, but in different ways. I have encouraged her to accept this award and take the opportunity such an award gives her to teach.Even as I continue to ponder in prayer these events, which many have found shocking, so must Notre Dame. Indeed, as a Catholic University, Notre Dame must ask itself, if by this decision it has chosen prestige over truth. I wonder how many Bishops of England and Wales would boycott an event hosted by a Catholic institution at which President Obama was the speaker. Bishop O’Donoghue, for sure. But the rest? What do you think? Almost 120,000 people (as of March 25 at noon) have signed a petition objecting to the University of Notre Dame’s invitation to President Barack Obama to receive an honorary degree at the University and to participate at the University’s commencement. The Catholic university has often endorsed liberal views and has accepted speakers of almost all views on the grounds of educational freedom. But the current furor is over objections to Obama’s pro-abortion and pro-stem cell research policies. The student newspaper, The Observer, is asking students and members of the community to discuss the issue. He said “some moral waffling” has gotten the Catholic Church into trouble in recent years. “We need to reaffirm our identity and go back to core values,” Father Jonathan said. 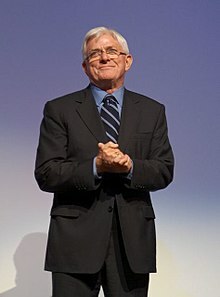 Liberal media personality Phil Donahue who is Catholic and graduated from Notre Dame, urged a more liberal view, saying the Catholic Church was dying because it did not open itself to the views of people like Obama…. 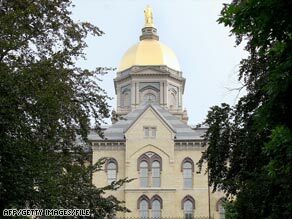 Several religious and pro-life groups nationwide are expressing outrage and threatening to protest in South Bend after the University announced President Barack Obama will deliver the 2009 Commencement address at Notre Dame’s graduation ceremony May 17. Assistant Vice President for News and Information Dennis Brown told The Observer a rumor that University switchboards were overwhelmed with callers and had to be shut down Friday night is false – a claim made by a March 20 article on pewsitter.com. Although many outside groups are protesting University President Fr. John Jenkins’ decision, The Observer reported in an Oct. 8, 2008 article that Obama led the student body with 52.6 percent of the vote in a mock election held by student government, in which 2,692 undergraduates and graduate students voted. The Cardinal Newman Society (CNS) – a group dedicated to “renewing and strengthening Catholic identity at America’s 224 Catholic colleges and universities,” according its mission statement – launched a Web site, http://www.notredamescandal.com, that acts as an online petition asking Jenkins to withdraw the invitation for President Obama to speak based on Obama’s pro-choice stance. The site currently claims over 47,000 signers, as of press time. You are currently browsing the archives for the Notre Dame category.